In September 2005, Wynne won – however unlikely it may seem for a child of the East Coast – the Aloha Festivals Falsetto Contest. On that evening, Bill took home two prizes – one for his vocal prowess and another for his accuracy in the use of the Hawaiian language. He was rewarded with a recording contract with venerable Hula Records – Hawaii`i’s longest continuously operating record label. The sessions yielded three singles which are still available on iTunes, Spotify, Rhapsody, eMusic, and Amazon.com. But you can also enjoy these songs by clicking the “PLAY” button below. On these recordings Wynne is joined by bassist/arranger William ‘Baba’ Alimoot, guitarist Kai Artis, `ukulele virtuoso Trey Terada (who also engineered the recordings at his Four Strings Studios in Kane`ohe), and steel guitarist extraordinaire Casey Olsen. Bill himself handles the rhythm guitar chores. The theme of the album was paniolo – or the Hawaiian cowboy. For this reason Wynne chose to record “Hu`ehu`e,” a paniolo song honoring both the Stillman Ranch on the island of Hawai`i and a group that influenced him tremendously as a child, the Kahauanu Lake Trio, since the Lakes are family to the Stillmans and so they also made the seminal recording of this song in 1964. Also included on these sessions is “Ku`u Ipo Ku`u Aloha Poina`ole” – sometimes referred to as “Ida’s Hula” for its composer, Ida Alicante. Auntie Ida performed with famed composer and musician Vicki I`i Rodrigues, so in order to sing this song properly, Bill turned to Vicki’s daughter, Nina Keali`iwahamana, for assistance in learning it. 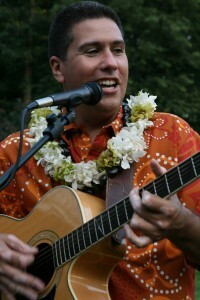 The song garnered him Second Place in the 2004 Aloha Festivals Falsetto Contest, and it remains one of his favorites to sing as well as a song for which he has become known since so few singers perform this song today. Finally, Wynne recorded “Kawaihae Hula,” composed by another falsetto singing legend, Bill Ali`iloa Lincoln. This is the song with which Bill eventually took First Place in the contest in 2005, and Wynne could not be more honored that Uncle Bill Lincoln’s daughters, Vivian and Ginger, were in the audience the evening he sang this song and took home the prize. Also in the audience that evening were singing greats Richard Ho`opi`i, Mahi Beamer, and Aunty Genoa Keawe – three of Bill’s heroes – making it the evening of a lifetime for him.